Wow! What a busy August it has been. The kids and I took a road trip and were away for two weeks. Then we returned to crazy Back-To-School mode. Phew! I’m pooped! And while I’ve been cooking (we DO have to eat, after all!) I haven’t been blogging. I’m just too worn out at the end of the day to actually think. But I made something tonight that I wanted to share with you. As usual, it was pretty easy. I did most of the prep work while the kids told me about their day and did homework. Then I cooked it while I let them watch a show. My daughter came down with a stomach bug this morning and was on the BRAT diet all day. So I knew she needed to have rice for dinner. 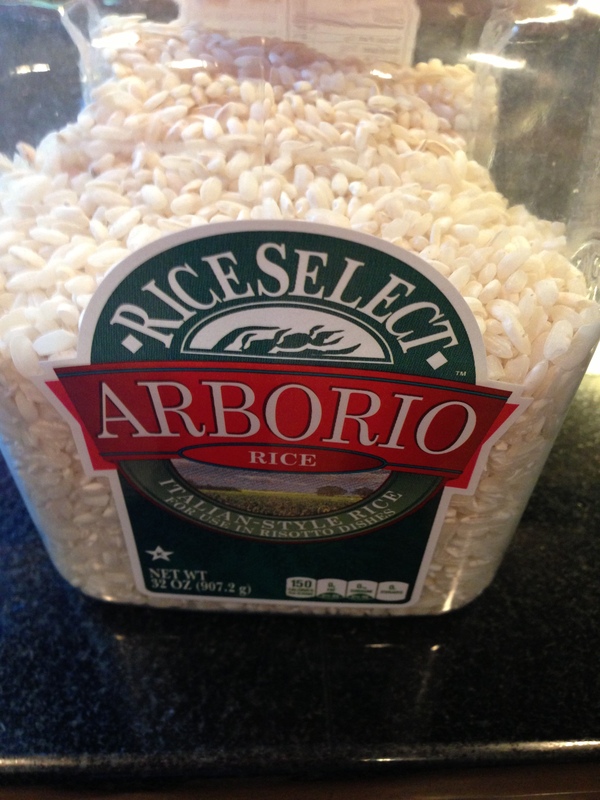 I found some Arborio Rice in my pantry and decided to run with it — I would make plain risotto for her and something a little more substantial for my guys. Start by getting the risotto going. 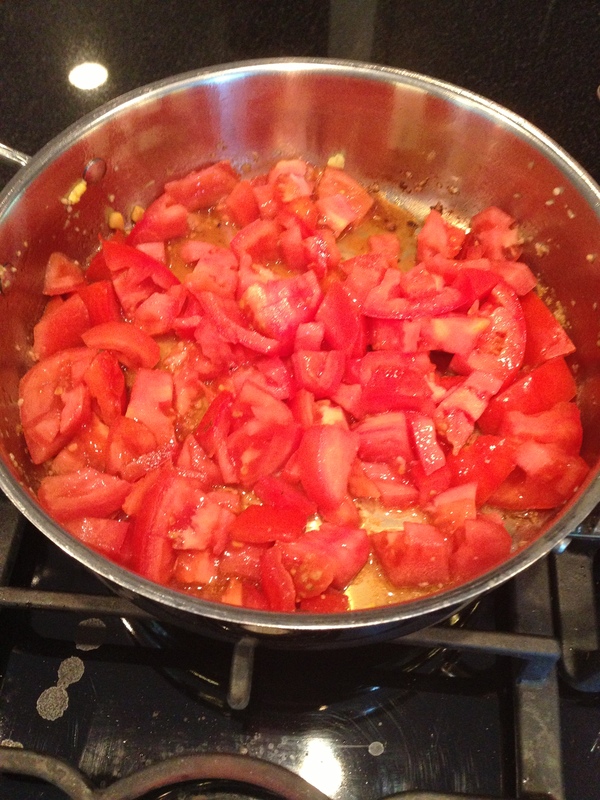 In a heavy saucepan, put 2 Tbsp olive oil and melt 1 Tbsp butter with it. Saute the onion. 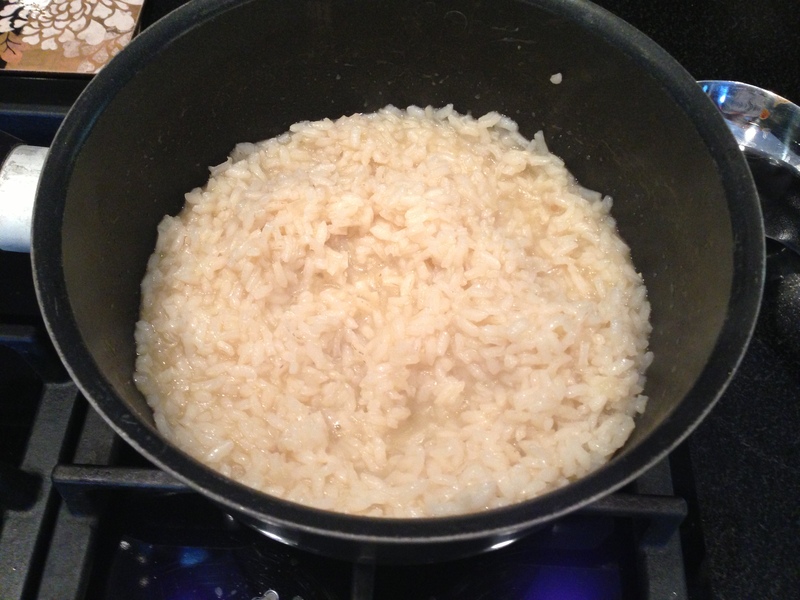 When the onion is opaque, add the cup of arborio rice and saute that for 2 minutes. Then, start adding your chicken broth — over low heat, add 1 cup at a time and allow it to come to a boil until the liquid is absorbed. You’ll need to keep an eye on this and stir it regularly so it doesn’t burn on the bottom of the pan. *Note: I’ve seen recipes that instruct people heat the chicken broth in a separate sauce pan and adding it a little at a time. I’ve done this before, and found it doesn’t really make a big difference in the outcome. So I just use the chicken broth straight from the container. Ohhhhh — this was SO pretty and smelled SO good!! Once the veggies and shrimp are cooked through and the risotto is deliciously creamy — you’re ready to serve. 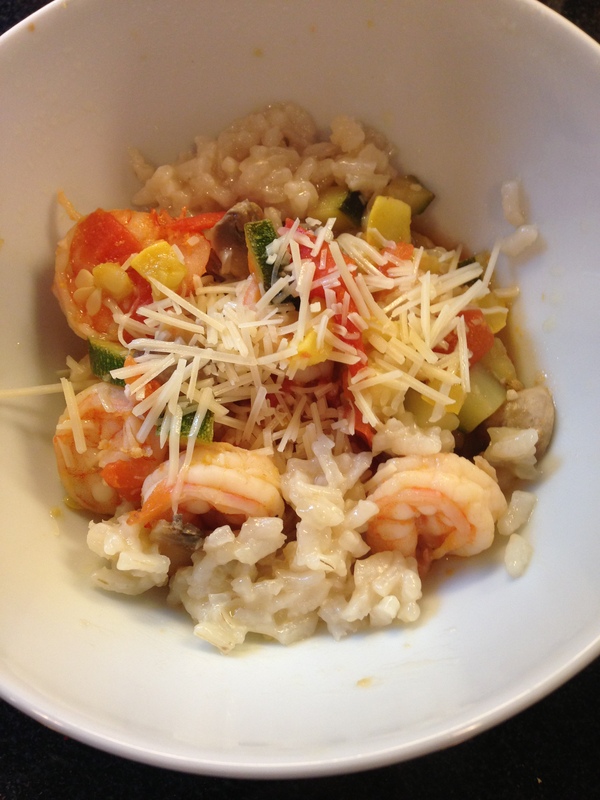 I put a scoop of risotto into a bowl and then a heaping scoop of shrimp and veggies on top. Sprinkled with a little parmesan cheese and – YUM! Personally, I thought this was delicious. It was creamy and chock-full-of-veggies. 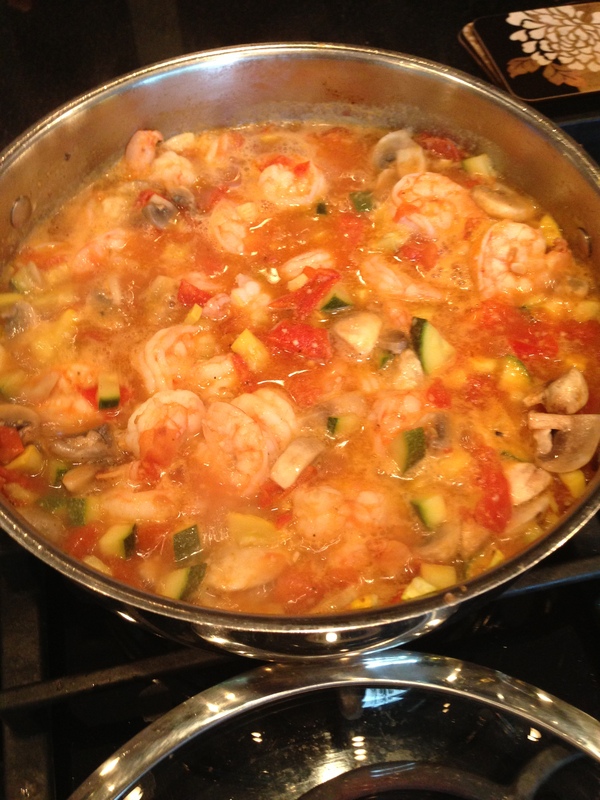 Plus, you can make it without the shrimp and substitute vegetable broth to make a vegetarian meal. I was hopeful the kids would like it, too. So — moment of truth. How’d the Hubs and the kids take to it??? 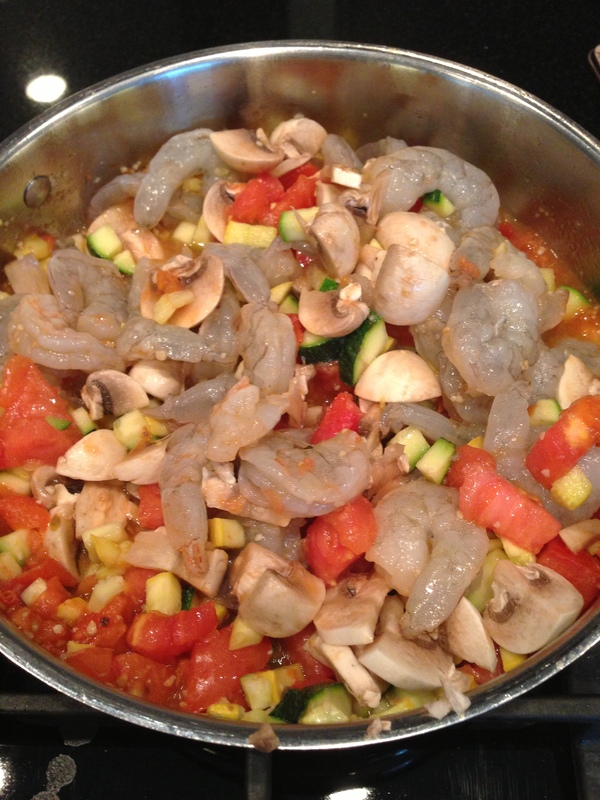 My 3 year old didn’t eat the shrimp and veggies since she was on a bland diet. But she loved her plain risotto and asked for seconds. My 5 year old was in love. He ate the entire bowl in record time. My 7 year old ate it under duress (this is how he does EVERYTHING these days. Even trying to get him ready for a trip to the pool turns me into a broken record: “Put your bathing suit on. Put your bathing suit on. 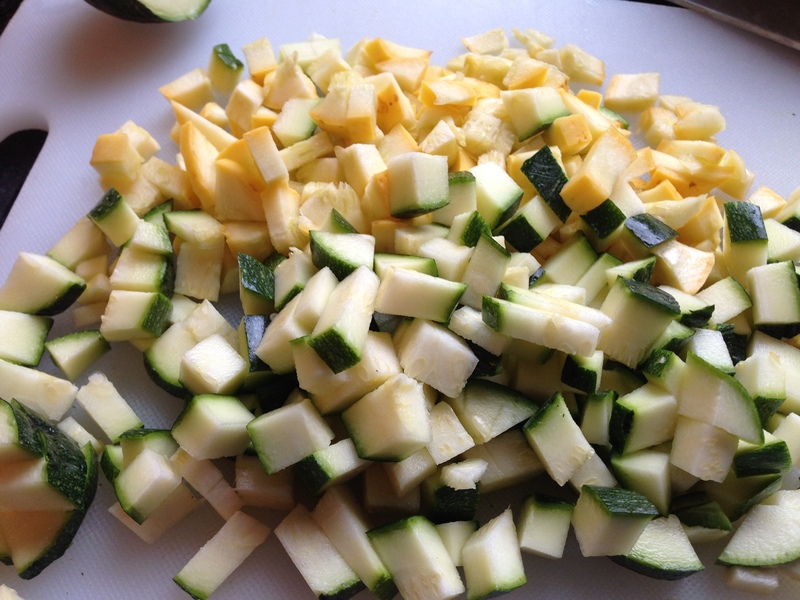 Put your bathing suit on.”) He complained about how ‘EVERYONE’ knows he HATES zucchini and how DARE I give him zucchini!!!! (The NERVE!!!) I asked him to give it a try and promised he would not get dessert if he kept up his Oscar-worthy performance. Low-and-behold… he actually didn’t hate it. He ate it. And if he wasn’t so set on being so difficult about EVERYTHING these days… he may have even had seconds. I hope that getting back into the school routine gets me back on the blog routine. I’ve missed writing these past few weeks. 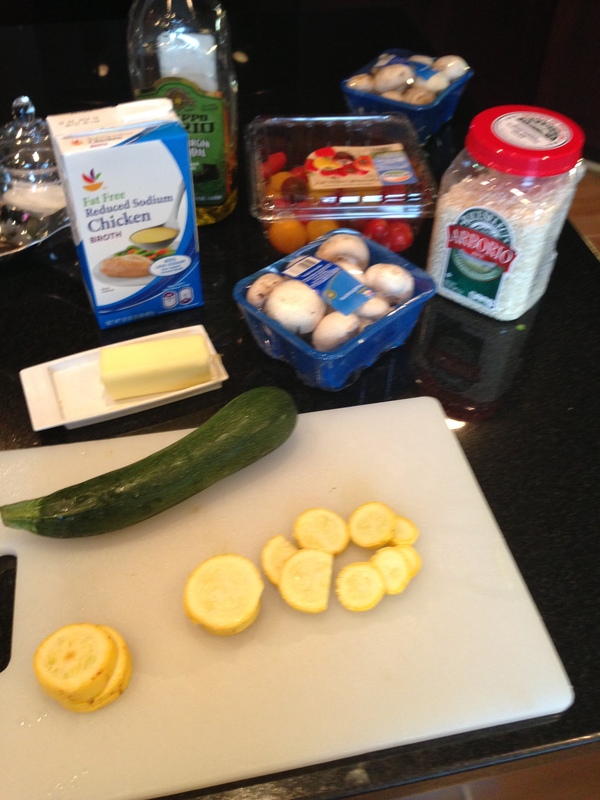 The cooking…. well…. not so much! LOL! I feel the same way about the chicken broth, why dirty another pan to warm it up? Looks so good!! !